It is hard to imagine your home without the kitchen and laundry appliances you have grown so accustomed too. Your ability to function properly on a daily basis depends vastly on the efficient operation of these appliances. We offer outstanding appliances service in Pasadena, California to make certain you receive same day service when one of these units break down. Our experienced technicians are certified to repair home appliances of all makes and models. You deserve the fast and effective appliance repair in Pasadena our company offers. We guarantee complete customer satisfaction. Pasadena is famous for hosting the annual New Year’s Day Tournament of Roses Parade. We love serving this community with exceptional appliance service our customers can trust. It is our sincere pleasure to provide washer and dryer repair service. You can call us when your washer is leaking or when the dryer stops tumbling and we will fix the problem fast. 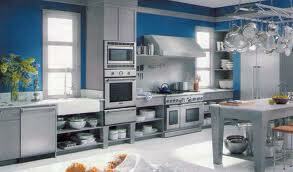 We also offer dependable oven, stove, microwave, fridge, dishwasher, and freezer repair service. Our thoroughly trained technicians will exceed your expectations when it comes to appliance repair service. At In Town Appliance Repair Pasadena, we work very hard every day to administer the most effective service possible on home appliances. Our work day begins by making sure we stock our vehicles with a quality selection of replacement parts in case they are needed during the repair process. We know how important your time is to you and we are dedicated to providing cost-efficient service quickly. You can trust our skilled professionals to administer friendly home appliance service at an affordable rate. We offer stress-free service that places your mind at ease. Don’t settle for less than the best Pasadena appliance repair service. You need a company that offers flexible scheduling for your convenience. We offer same day service and guarantee satisfaction. Get in touch with Pasadena In Town Appliance Repair for all your residential appliance problems.